Congratulations to our four scholarship recipients! 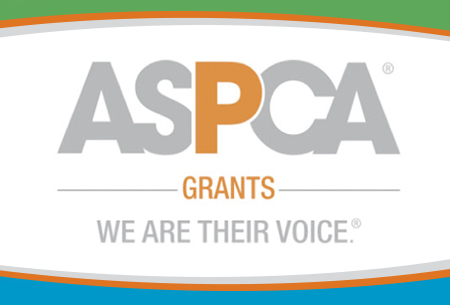 Thanks to a generous grant from the ASPCA, these four outstanding students will have the opportunity to gain knowledge that can help save the lives and improve the well-being of countless numbers of shelter animals. As students in the new Online Graduate Certificate Program in Shelter Medicine, they will receive a tuition reimbursement upon successful completion of the inaugural course. Dr. Candie Corriher, a 1995 graduate of NCSU-CVM, is a spay/neuter surgeon and a shelter medicine veterinarian at the Cat Adoption Team (CAT) in Sherwood,Oregon. CAT is the Pacific Northwest’s largest non-profit, limited admission/adoption guarantee cat shelter that has its own full service veterinary hospital on-site. Dr. Candie (as she prefers to be called) is also a regular volunteer spay/neuter surgeon for the Feral Cat Coalition of Oregon (FCCO). After many years of doing a little bit of everything, including both equine and small animal private practice, Dr. Candie finally found her niche in shelter medicine and absolutely loves her job at CAT. She is making a difference in the lives of cats and kittens who might otherwise not have a chance. She is very grateful to the ASCPA for making her scholarship possible. She plans to put what she learns to good use by further improving the protocols at the Cat Adoption Team. She also hopes to share what she learns with other local animal shelters that are part of the Animal Shelter Alliance of Portland. Why you are interested in shelter medicine? I have always wanted a career in which my main job would be to help people. It took me until graduate school to come around to the idea—the feverish need, more like—that I should become a veterinarian. During vet school, while never shying away from a neurotransmitter, a genetics equation or half-rotten cadaver, I felt a profound distaste for any of the business and professionalism classes. Here we have a group of people dedicated to helping those who cannot speak for themselves, the creatures we have (over millennia) tamed to require human attention and care, and yet because of “reclaiming the worth of our product” and “keeping afloat in this economy” we were being taught to turn patients away if their caretakers could not afford our high prices for their exemplary care. In 2006, a part time job at the Animal Humane Society in Minneapolis cured me of my professional anxiety, and I have been dedicated to shelter medicine ever since. How you intend to use the education you gain from Maddie’s® Online Shelter Medicine Certificate to benefit you and animal welfare? I am very excited to be in the forefront of this new specialty in veterinary medicine. While I have attended many CE lectures, read many ASV posts, and bought (and read) both of Dr. Miller’s textbooks on my own, I am excited to have some more formal education and new mentors in shelter medicine. I hope it will help me to increase the live release rate at the shelters I work for, give me knowledge I can draw on when advising other humane societies and animal controls, and give me the extra authority it might take to get stubborn shelter managers to consider changes to their long-held policies. I also intend to pursue a residency in shelter medicine in the future, and I’m hoping this certificate will give me a leg-up in that respect. Once a boarded specialist (cross-fingers! ), I hope to eventually be a medical director of a large shelter or perhaps teach shelter medicine at one of our veterinary colleges, to inspire other young professionals to go out and care harder, make shelter medicine better, never worry about “keeping prices high” and “the economy floating.” Most of all, I hope to make any stay in any shelter the very least stressful that it can be for the hundreds-of-thousands of animals surrendered every year. 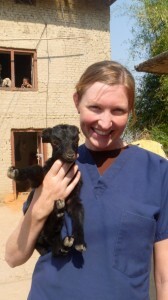 Following graduation from Michigan State University’s College of Veterinary Medicine in 1999, Dr. Rachel Reeves became an associate veterinarian at a small animal hospital where she worked for seven years. She enjoyed private practice, but always felt that she had more to give her profession, and her community, than she was being challenged to give in private practice. 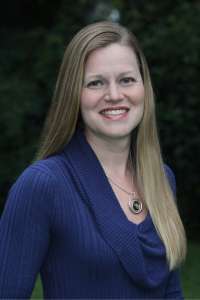 In 2006, she took the opportunity to move into the newly emerging field of shelter medicine by becoming the City of Tallahassee’s first veterinarian with the Tallahassee Animal Service Center (ASC); a regional shelter serving both the city and county. This career shift has allowed Dr. Reeves to explore her interests in population medicine while setting new health standards for the thousands of homeless animals housed at the ASC annually. 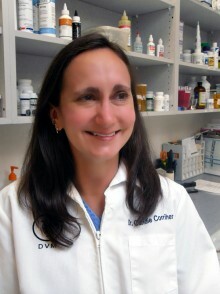 In addition to implementing policies and procedures designed to improve animal health at ASC, Dr. Reeves was tasked with creating a new high-volume, high-quality surgical sterilization program, as well as several outreach programs, including: Free Animal Rabies Vaccination Clinics, Low-Cost Animal Microchip Identification Clinics, and a veterinary student externship program, designed to expose third and fourth year veterinary students to shelter medicine principals. Dr. Reeves takes her role as a shelter veterinarian seriously, and is honored to be part of the University of Florida’s Shelter Medicine Certificate Program so that she can continue to expand her knowledge of the field and, ultimately, improve the quality of care that she is able to provide the animals in her care. I am a 4th year veterinary medical student at Texas A & M University, and I have chosen to dedicate my career to the betterment of the health and welfare of our country’s homeless companion animals. Working as a shelter veterinarian, I will use high quality, high volume spay/neuter techniques to reduce the size of this population. I will provide needed and preventative medical care for these often neglected dogs and cats. I will continue to promote Trap, Neuter, Return programs and hope to improve the image of free-roaming cats in our society. I plan to complete an internship and residency in shelter medicine so that I am armed with enough knowledge to make large scale improvements to our country’s shelter systems. I believe that Maddie’s Online Shelter Medicine Certificate Program will be instrumental in helping me to accomplish these dreams.